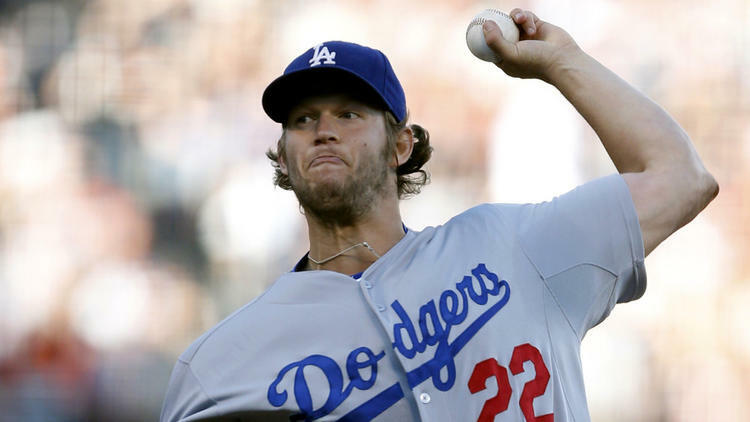 Here is the problem….The Dodgers new brass doesn’t like to spend the kind of money like the old Ned Colletti days, and this may pose a problem to sign one of the best four pitchers in the game the last few years. Clayton Kershaw already brings in $30 MIL plus a season, and when you add in the salaries of Adrian Gonzalez and Carl Crawford it is yikes!! Good thing they jettisoned Matt Kemp last year, but the club also ate $50 MIL in contracts. With a crazy $265 MIL Payroll in 2015, they have a hefty Luxury Tax Penalty coming around the bend at 40% or about $ 25 MIL. Next year they will hit the 40% Tax rate, so it may not be conducive to inking Greinke. It is not all bleak though as they have a lot of controllable players that have just entered the MLB with Yasiel Puig, Joc Pederson and Corey Seager. These guys bring down the per dollar average a great deal. Crawford and Gonzalez also aren’t on the books forever, but it still may be hard to find the cash in the cushions. The club will ultimately let Chase Utley leave, and thank the lord he did not see his contract vest with the necessary 500 PA this past year. The club will also cut ties with Bronson Arroyo. The franchise should be around $155M – $160M already without having paid any of the Arbitration Eligible players like Kenley Jansen, A.J. Ellis, Justin Turner, Scott Van Slyke and Yasmani Grandal. These guys are all pretty key contributors except for Ellis. This may run them another about another $15 – $18 MIL. So with the team being at anywhere from $170 – $178 MIL, they could fill some surrounding spots, and even float underneath the salary cap threshold next year if they don’t bring back Greinke. But here lies a problem. This guy has been an absolute force in your stable for the duration of the last 3 seasons. How do you replace a guy who sports a 2.30 ERA and 1.027 WHIP in 92 Game Starts. His record for those contests equal 51 – 15 for a .773 Win Percentage. As good as those numbers are, he was even better than that in 2015, sporting a 19 – 3 record and leading the league in Win Pctg (.864) ERA at 1.66 and an unfathomable 0.844 WHIP. 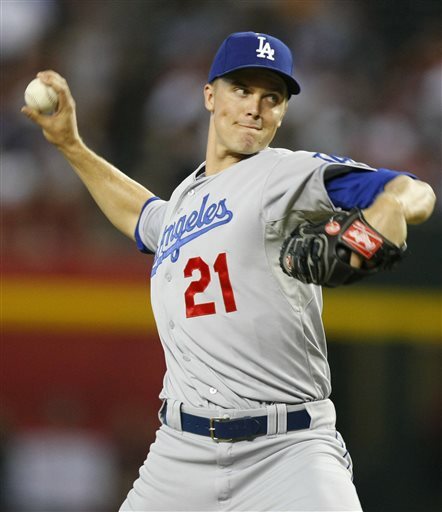 This guy never gets the recognition he deserves playing the #2 role to Kershaw, but one could say that the Dodgers would not have made the playoffs if it weren’t for Greinke. Even the half season he played with the Angels – Greinke looked at home in Los Angeles. The club could pull some maneuvering around the payroll – to get him the $25 – $28 MIL per year stipend it will take to retain his services. At 32 heading into next season he should still have 3 really good years left.. 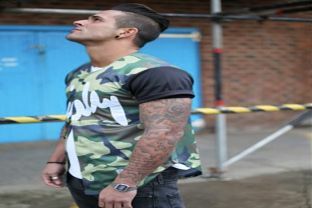 The question is whether you want to dole out the type of cash afterwards when he is 36, 37 and 38. It will likely take a 6 year offer to land his services. My guess is the contract could land anywhere from $165 – $180 MIL for the duration. Is Greinke that far off from Max Scherzer and his pact with the Nats last year? He is only a year older than the man who threw 2 no hitters this season. That deal was for 7 years and $210 MIL, but is really near the $185 MIL range when you consider the 14 years it is spread out over. I just don’t think there are many clubs willing to spend that kind of money per season right now. The Yankees could always be looked at as a viable club. Boston doesn’t fit the mold, and never want to spend money on pitching past age 30. The Giants are in their own salary cap hell, and the other so-called big market clubs aren’t going to put their hats in the ring. I am talking about the Mets and Phillies. Another team that could jump into the fray is the Los Angeles Angels. Both they and the Dodgers are sneaking near the salary cap, but this could be a type of move with Arte Moreno’s name all over it. With Albert Pujols aging rapidly – and Mike Trout signed until his late 20’s, the time may be to go for it now. If you added Greinke with Garrett Richards, Matt Shoemaker and Andrew Heaney, then you are looking at a decent Starting Staff. The Dodgers should find a way to keep this guy. If they are going to take the next step it may just be with the improvements of their young positional players. Pederson, Puig and Seager could all form the core of the club for 2016. If they can make good on their potential that should be enough on the offense with veterans Gonzalez, Ethier and Turner providing backup. Losing Greinke would kill an already decimated and injury prone Starting Staff. Brandon McCarthy and Brett Anderson are always ten seconds from their next health issue, and you have the likes of Brandon Beachy and Hyun-jin Ryu with a deep Tommy John Surgery history. I think with a pretty good certainty that the Dodgers would make the playoffs yet again in 2016 with Greinke on board. If they lose him, they may not be very far away from a fringe NL Wild Card spot. If Greinke is looking for the greatest amount of money it may be somewhere else. I think if he moved anywhere out of the city of Los Angeles he would be crazy if either of these clubs make a valiant offer. He has proven he likes the laid back style in California. This is big with someone who has a social anxiety disorder he has kicked over the years. Zack Greinke opted of his deal after this season, even though he will stay have nearly $25 MIL per year left on his deal running through 2018. 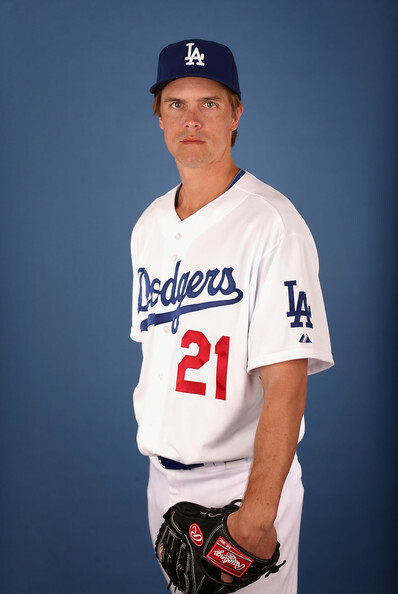 There is no doubt in my mind that LA will probably walk away from Greinke. I base that on the comments from GM Andrew Friedman – who isn’t looking to spend a lot of money, and also shed payroll. If the brass is able to pull of some swift financing, they should be able to absorb a deal with the RHP, and not have the salary for the club be blown out of proportion. Posted on October 16, 2015, in MLB Payroll and Contracts, MLB Player Profiles and tagged a.j ellis, albert pujols, andrew friedman, Andrew Heaney, arte moreno, boston red sox, brandon beachy, brett anderson, Bronson Arroyo, carl crawford, chicago cubs, clayton kershaw, corey seager, don mattingly, garrett richards, Hyun-Jin Ryu, jake arrieta, Joc Pederson, justin turner, kenley jansen, la dodgers, los angeles angels, matt kemp, Matt Shoemaker, max scherzer, Mike Trout, new york mets, new york yankees, nl west, philaelphia phillies, san francisco dodgers, scott van slyke, yasiel puig, zack greinke. Bookmark the permalink. 2 Comments.